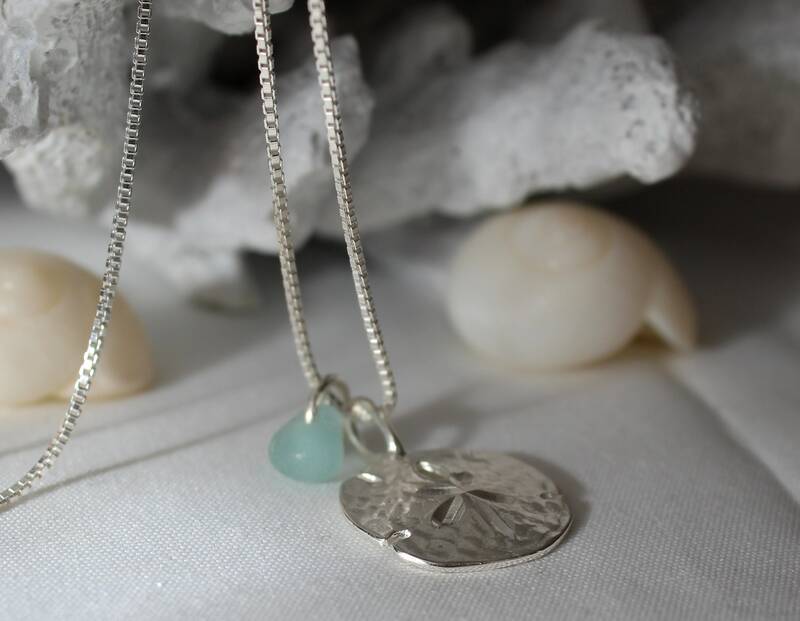 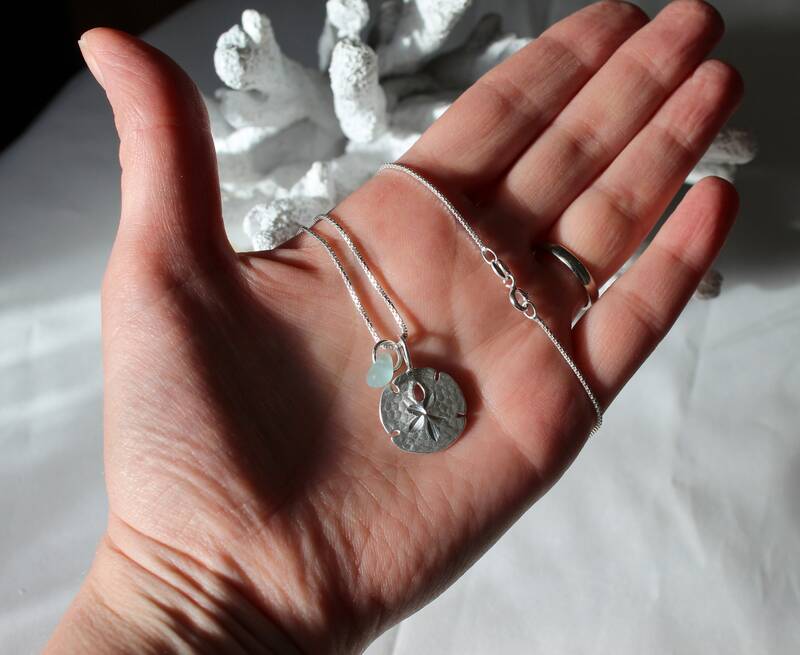 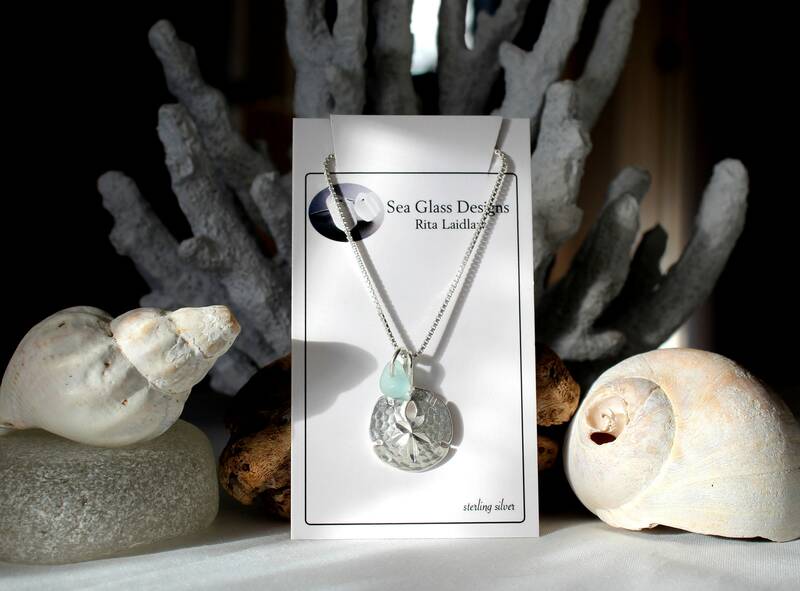 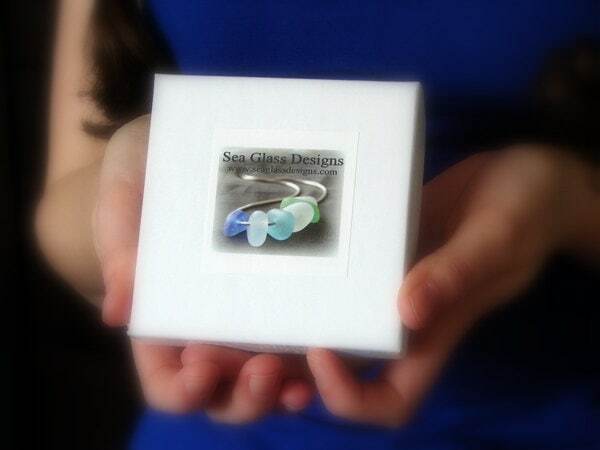 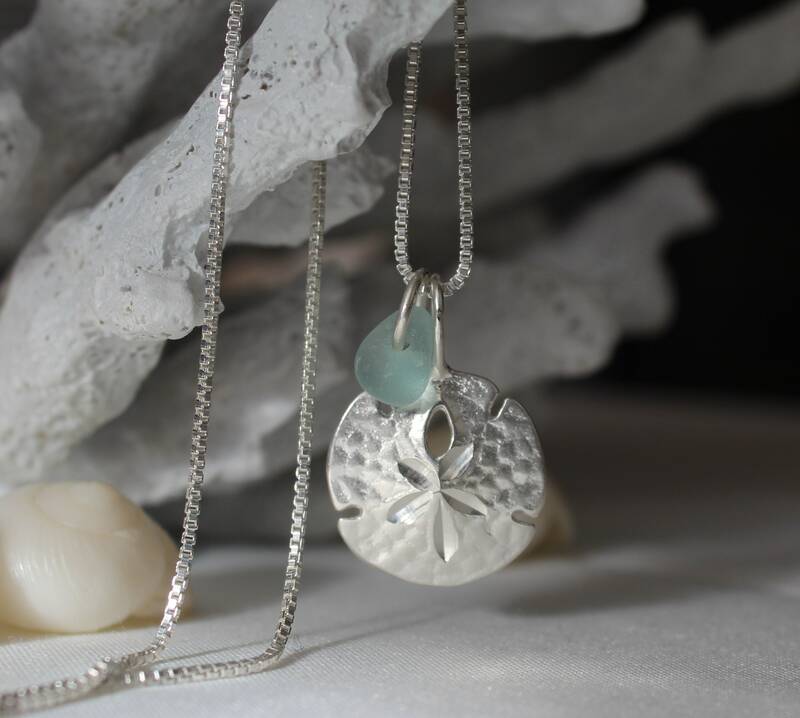 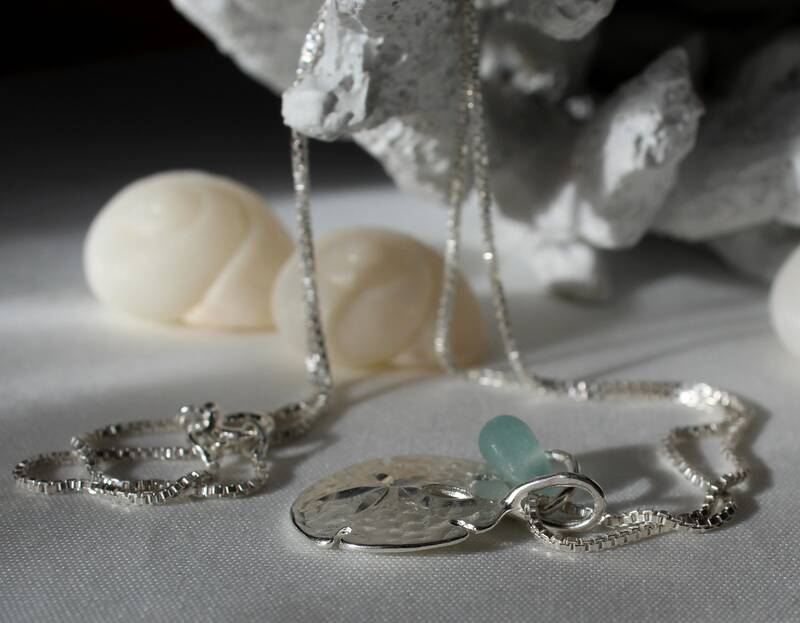 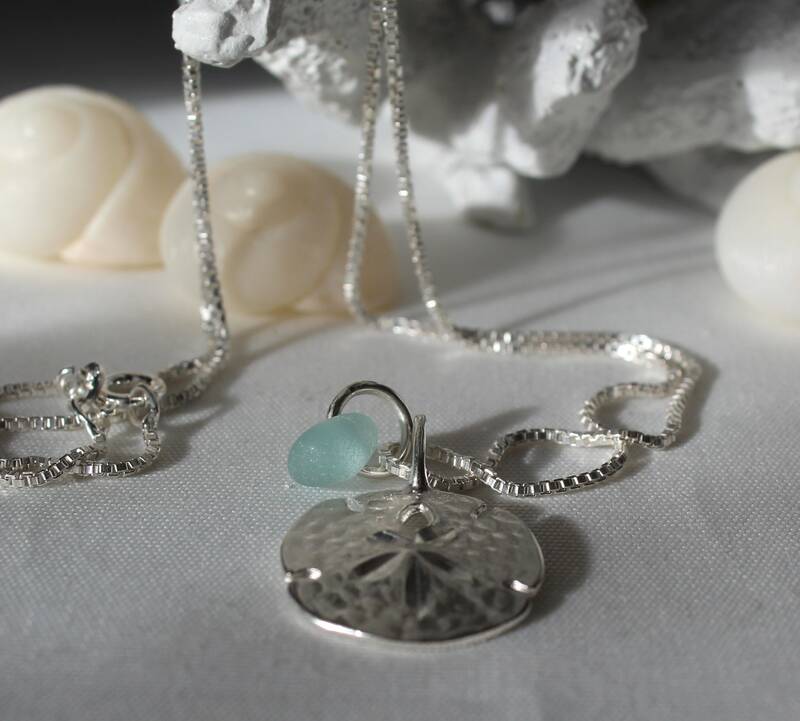 Our Little Sand Dollar necklace features a drop of genuine aqua sea glass suspended beside a sterling silver sand dollar, on your choice length of sterling silver box chain. 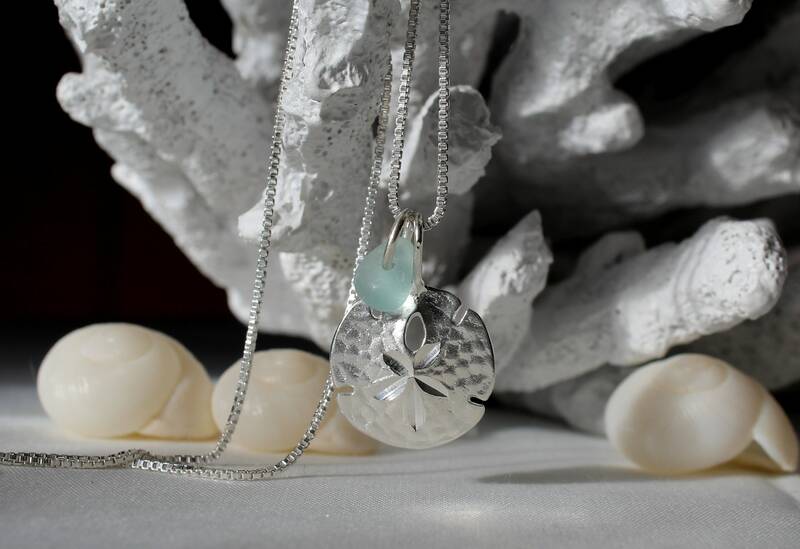 These necklaces are very popular for beach weddings- carry a little bit of the sea with you always! 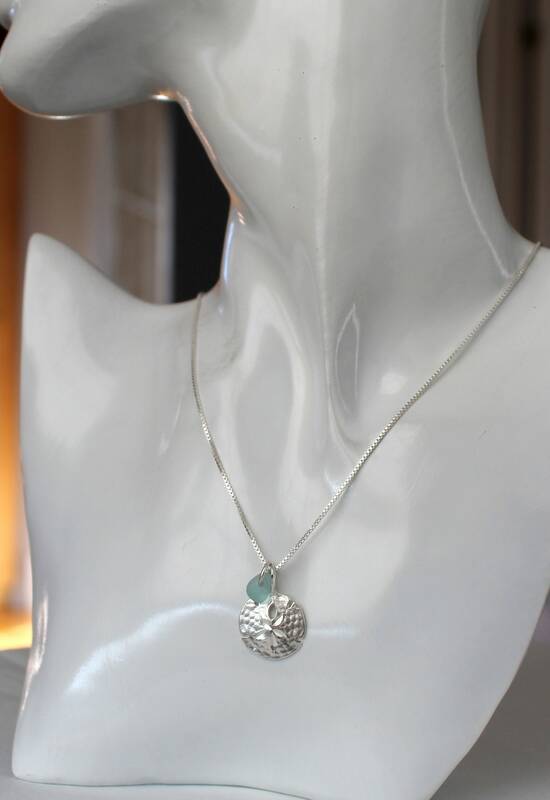 Bought for a gift. 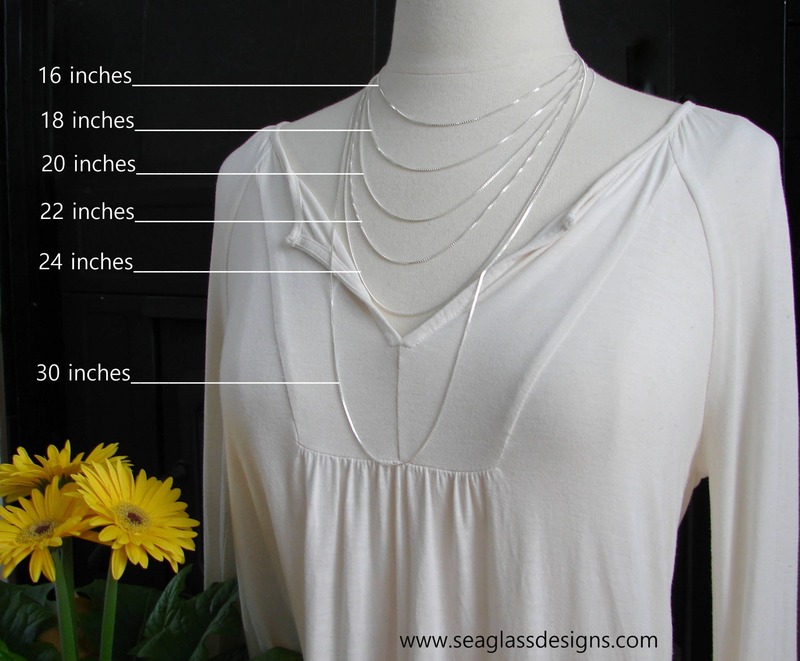 It's a nicely understated, quality necklace.